Is it fair to dismiss someone for a criminal offence that takes place outside of work? Alan Lydiard was a postman. He had never received any complaints about his work and was a reliable employee. However, when he was prosecuted in France for football hooliganism, the Post Office decided to sack him. He claimed unfair dismissal on the basis that the football hooliganism was completely unrelated to his ability to do his job. After a number of court hearings, it was finally decided that the Post Office had acted fairly. So when is it fair to dismiss someone for criminal acts outside of work? 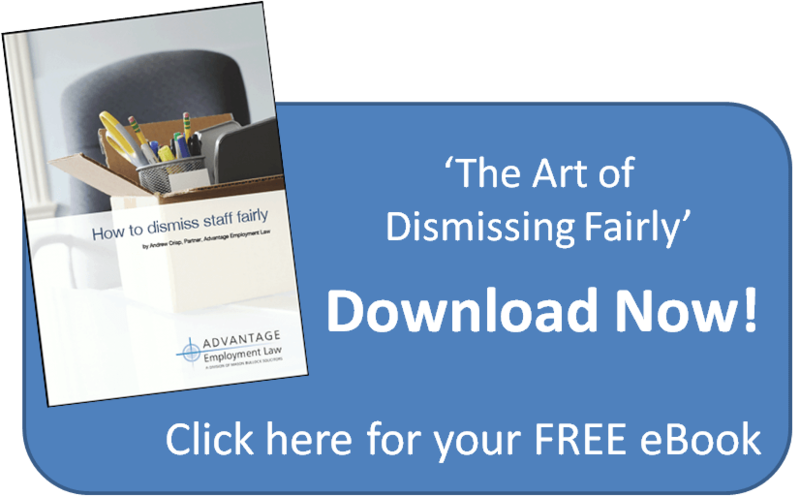 You should not treat a crime outside of work as an automatic reason for dismissal. You must ask the question whether the offence is one that makes workers unsuitable for their type of work. That as a result of the criminal conduct, other employees will no longer work with him and so either his work (or their work) cannot be performed properly. This will usually fall under the first test, namely that the employee has become unsuitable for his type of work. Most job roles involve at least some degree of honesty. However, you would still need to show that the dishonesty made the employee unsuitable for his particular job. Offences of violence will usually fall under the second test. Other employees may no longer feel comfortable working with the employee. However, if the employees are not bothered by it, it may be difficult to show that a dismissal is fair unless the employee is engaged in a position where physical restraint is important (such as a security guard). You need to show that you had a genuine and reasonable belief that the employee was guilty of the criminal act. If he has already been convicted, then this is straightforward. However, if he has not yet been convicted, then you should carry out your own investigations. Provided that the investigation is reasonable and that you follow a fair procedure, an employment tribunal is unlikely to challenge your belief, even if the employee is subsequently found not guilty. Finally, make sure you follow the ACAS Code of Practice. If you need legal advice about disciplining an employee for a crime that took place outside of the workplace, feel free to give us a call. Previous Entry: What do You Do If a Member of Staff is Incompetent? Next Entry: Making Redundancies? Don’t Get Caught Out!